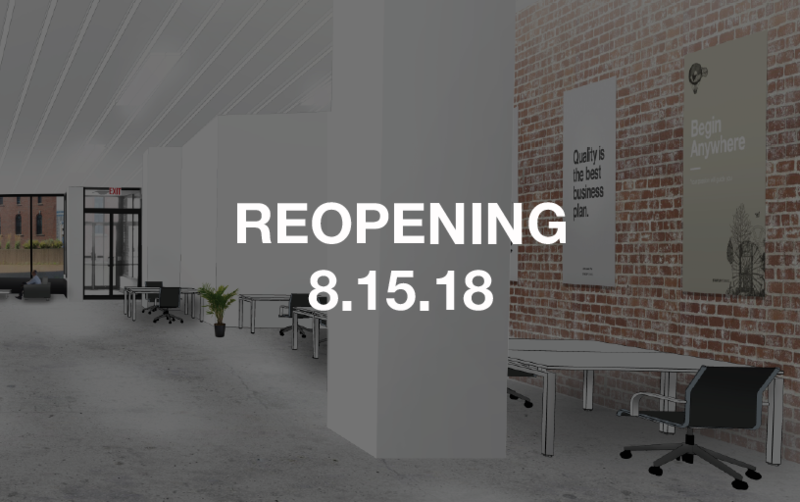 Volta is excited to share that Network Membership will reopen August 15, 2018. In April, we announced that Volta would temporarily close Network Membership to allow construction to wrap up on the Lobby level and provide our team with enough time to determine ways we could make positive changes to the program. Our new space is an opportunity for Volta to hit refresh and think about how we can improve our current programs. While our initial timeline for a June reopening was delayed, we felt it was important to take the extra time to ensure we do this right. After months of planning and discussions, we are excited to share how we plan to add value to Network Membership. The new Network Membership will include a small monthly fee of $10 (+ HST) per month, or $100 (+ HST) per year if paid annually (about the cost of a Spotify subscription). This new fee will help us continue to add value to Network Membership and allow us to invest in a new platform that will help better connect and support our community. We are committed to providing more value to Network Members and we hope to create a more engaged membership as a result. Volta’s Network Membership was created with the intention of developing a community of highly engaged individuals that are interested in technology and entrepreneurship. Our membership allows you to be a part of a community where you can meet other like-minded individuals, collaborate, and learn from one another all while creating or working for globally but locally based startups. Who qualifies as a Network Member? 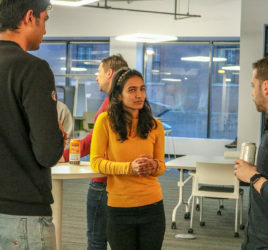 Network Membership is available to students, freelancers, mentors, founders or employees of startups, and members of the technology community. What will the new Network Membership look like? The new Network Membership will focus on three main pillars: space, education, community. It will have many of the same perks you’re accustomed to, like (a new and improved) co-working space, (reliable) wifi, bookable meeting rooms, discounts on programs and events, and office hours. 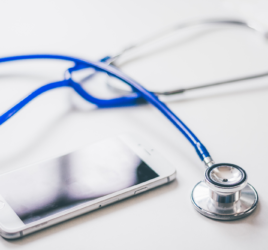 But it will also include some new features, such as access to walk-in call booths, and more opportunities to connect with fellow Network Members – both on and offline. Creating ways for our Network Members to connect with each other will be one of Volta’s major focuses for the program moving forward. We plan to help you build stronger relationships with fellow Network Members by introducing Network Member networking socials, and providing a way to share updates and ask questions online (stay tuned for more information on what this will look like in the coming weeks). You can apply for Network Membership here. Please note, if you were previously a Network Member, you must re-apply. We will contact applicants and invite them to Volta for an onboarding tour. Only those who successfully complete the onboarding tour and meet eligibility requirements will be accepted as a Network Member. Our revamped Network Membership is only the beginning of how we hope to add value to being a part of the Volta community. In the coming months and years, we hope to continue building on the Network Membership program and looking for new ways to support and celebrate the incredible work our members do on a regular basis. 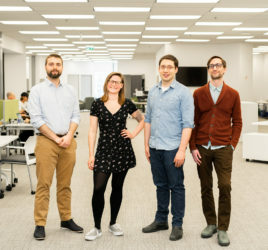 Volta is proud to be a hub for the innovation ecosystem in Atlantic Canada, and a place where members of the local technology community can work, connect, and build with other like-minded people who are passionate about establishing the region as a hotbed for innovative companies. We know we’ve been quiet over the past few months, and we’re sorry for the inconvenience and uncertainty our silence caused. But, we look forward to this new chapter and hope you will join us in August. If you have any questions or feedback, please don’t hesitate to reach out to applications@voltaeffect.com.